Absolut Elyx has arrived. If you haven’t heard of it please read on. If you haven’t seen it yet check out the gorgeous bottle in the below pictures. Stunning, right? That’s what first drew me in, as I’m a sucker for shiny metal (gold and copper especially bring me joy around the holidays). As an Absolut fan I was quite intrigued to say the least. 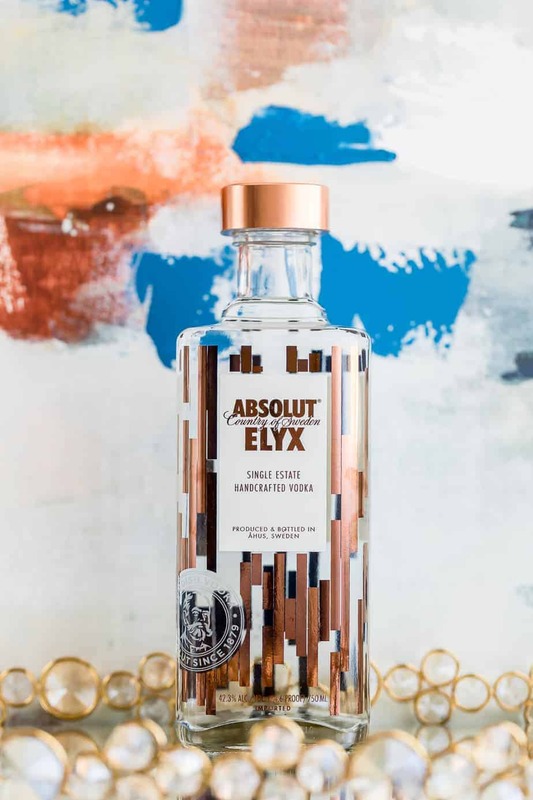 When I learned more about the story behind Absolut Elyx craftsmanship and the resulting premium vodka’s taste, I was blown away. 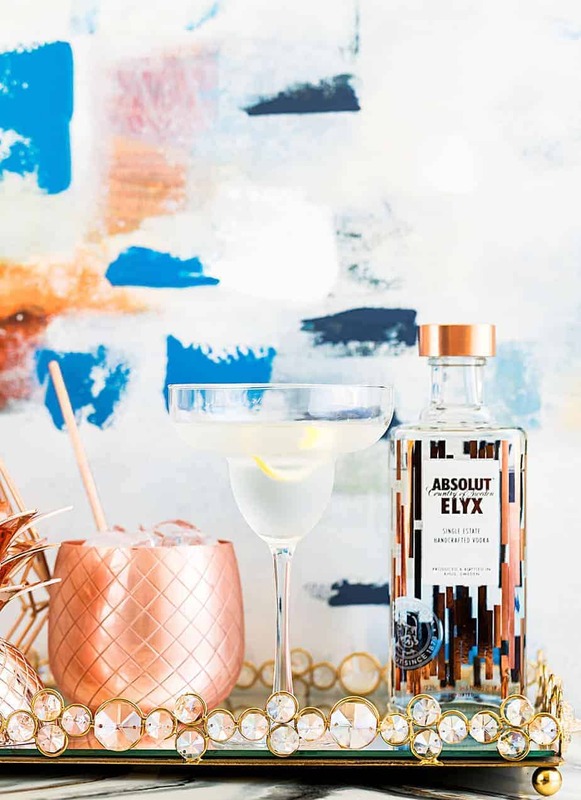 There are a few reasons why Absolut Elyx tastes different from any drink I’ve ever had. For starters, every drop is from winter wheat grown on a single estate in Sweden, with the entire production taking place within a 15 mile radius. It’s a seed to bottle process that is meticulously controlled. They use a process called copper catalyzation, which puts Elyx in contact with copper to give it a rich and silky taste. One fact that I found especially unique was that they use a vintage, hand operated copper still from 1921, a craft of which a very select few have perfected. Hearing stories like that make me want to relay them on to others, and have a big influence in the beverages I select. It’s kind of like a Trappist beer from Belgium… history plus pride and a great story often equates to a stellar product. I mixed Absolut Elyx in the simple but fabulous Martini below. 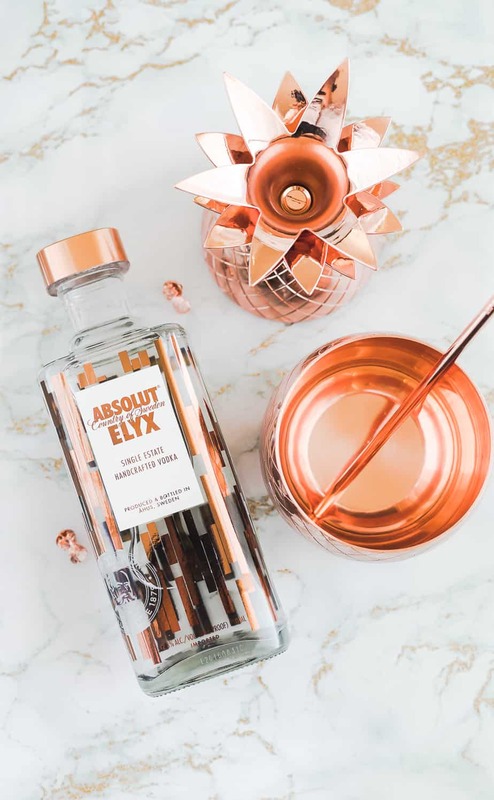 I love the taste and found that Absolut Elyx had a sophisticated and premium taste. It’s perfect for a party, maybe a 007 theme, and served shaken, not stirred. My husband had the Absolut Elyx straight over ice and said it went down easy and “finished like a boss”. 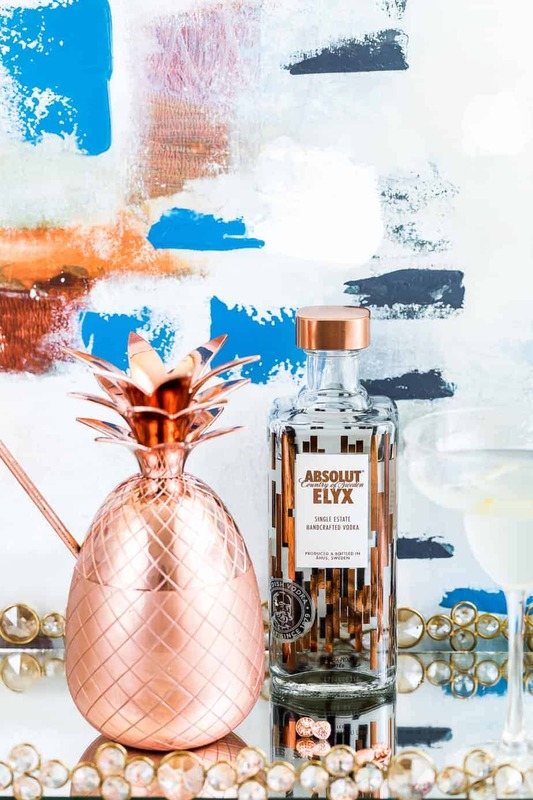 Maybe it’s the copper but I’m dying to also try an Absolut Elyx mule… stay tuned for that recipe. I have been an Absolut fan since seeing their creative ads in magazines decades ago. From sports themes to those around entertainment or cities, their ads always incorporated the Absolut motto into thought provoking and clever ads. Later in life when I started drinking spirits I figured out that Absolute had much more than just a smart marketing team, they had truly unique tasting vodka in flavors that nobody else could come close to perfecting. Absolut Citron and Absolut Kurant have been my two favorites for years, though I do enjoy mixing it up. 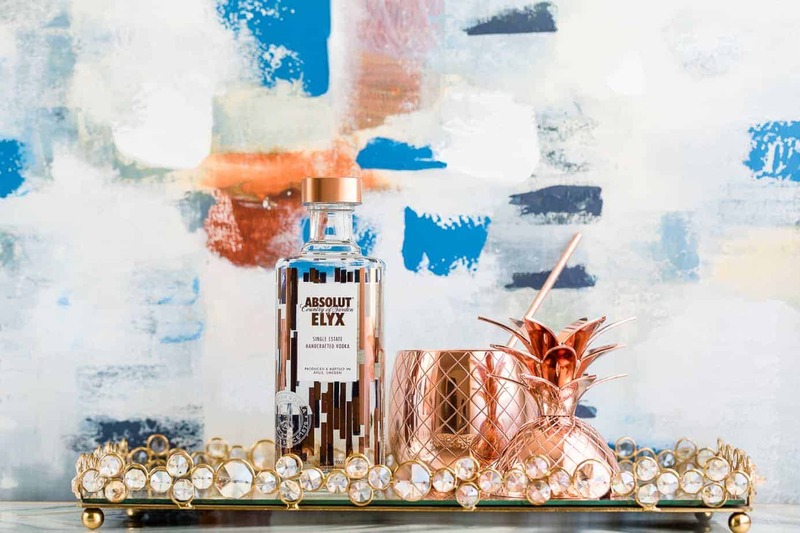 Absolut Elyx is hot right now and sure to be a constant in my rotation. It differs so much from the other Absolut flavors and is cool to show off as an option to reach for in the cabinet or at a party. With the smooth premium taste it’s a winner all around. Absolut Posh, if I do say so myself. An Elyx Martini is the perfect way to celebrate the rich and silky mouthfeel of Absolut Elyx. Stir over cubed ice and strain into a chilled cocktail coupe. SO cute! I love the pineapple and the art! I haven’t seen that Absolute variety here yet. Looks delicious in that drink! I am not surprised this is a high quality vodka. The Swedes take their vodka seriously, interesting recipe. Thanks for sharing! This martini sounds absolutely amazing! Can’t wait to try the Absolute Elyx too! Thank you for sharing! I have not seen this variety of vodka here. I need to look for it. Looks so cool. The martini sounds so inviting. Recipe sounds so delicious! And that bottle and your styling is gorgeous! 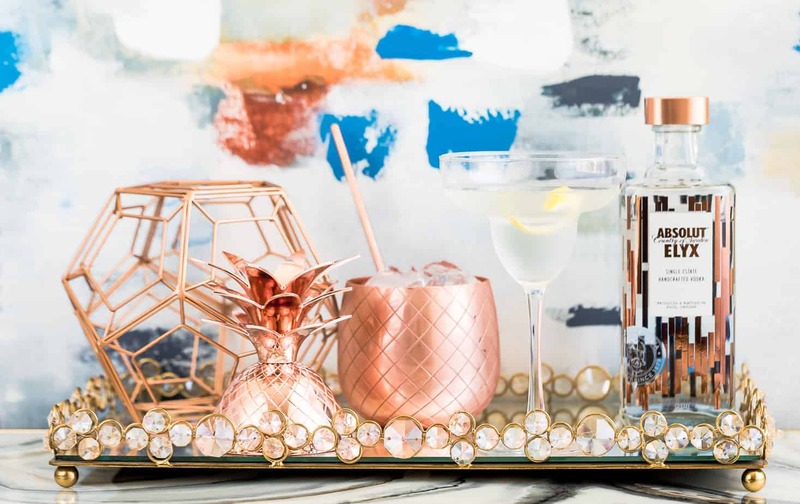 Wow, this looks amazing – you’re right, just that gorgeous bottle would totally draw me in! I love that when something is truly high-quality like this, it shows in every drop and you don’t need lots of complicated ingredients to make a truly amazing drink!